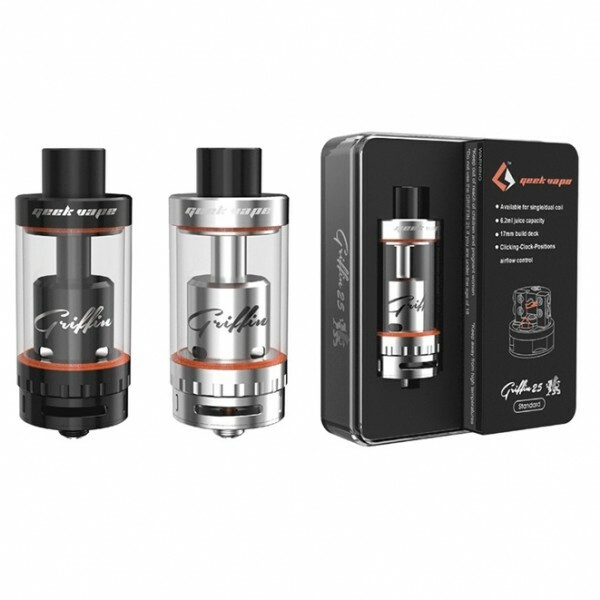 The Geekvape Griffin 25 is next generation of Griffin RTA. The main difference from the original Griffin RTA is the large tank capacity and bigger building deck to allow larger builds such as Clapton ones. The Standard Griffin 25 was designed for those who love simpler vape gear. 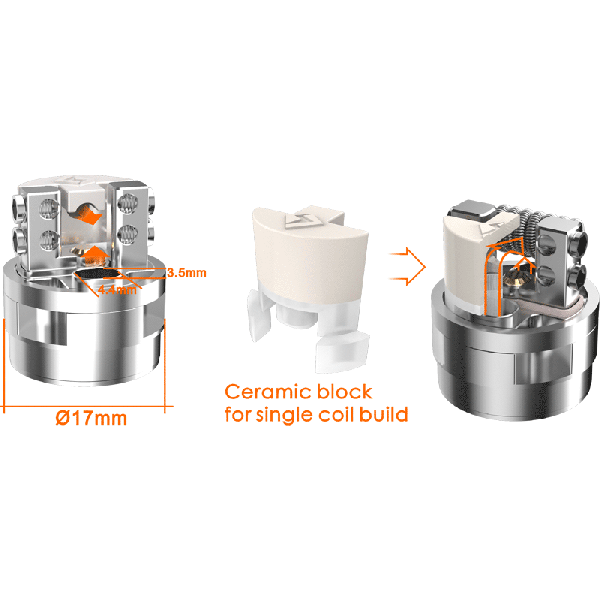 It has dimensions of 25mm x 48.5mm and the drip tip’s height is 10mm The tank capacity is a massive 6.2ml. It features a 17mm build deck and is available for single or dual coil. The air flow control ring is adjustable via its clicking-clock positions design. The Standard Griffin 25 in either black or stainless steel colors. If you want more airflow, build coils easier and love to chase clouds, then either version of the Geekvape Griffin 25 RTA is a must buy!